The inclusion of the Internet as an application in digital scale technology has transformed the industry while having a tremendous affect on its employers and employees alike. The correlation between streamlined productivity and a company’s effective performance since the adjunct of the Internets arrival on scale yield is no coincidence. Arlyn Scales, a leader in the design and development of technology for the weighing industry, headquartered on Long Island, New York, has used Internet access to enhance digital industrial scale productivity for years. By providing companies with a subset of its own data in a format that assists management and workers in making better decisions will only benefit a company’s bottom line, more effectively, in today’s volatile environment. One area we have seen massive growth in is the Web being used to increase efficiency and save time and money for a variety of businesses. It can be used to streamline everything from marketing activities and customer support through retrieving raw data and administration. The Internet has a lot of many characteristics that can be utilized to improve productivity. Just to name a few, there are no time or space limitations for accessing the Internet, finding information can be easy and efficient, and it is possible to transfer various kinds of information in electronic form between devices. Properties like these have led to totally new markets, technologies, and processes. Another nice thing about using the Internet as an instrument in the field is that the technology has reached a maturity level unmatched by bus technology, and can be found in most existing business environments. The infrastructure is probably already there, making it very easy to implement between a PC and a gadget device, in this case an Arlyn digital electronic scale. 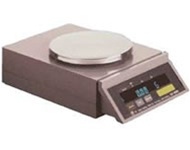 Arlyn Scales offers this option throughout most of its line including industrial scales, bench scales, platform scales, floor scales, tank and cylinder scales, and parts counting scales. Arlyn also includes a user-friendly software utility, which allows the capture of data onto an Excel spreadsheet or into an Access database. Being able to gather and store data in one central place for viewing at a later date makes the process more streamlined than ever before. You would be surprised how difficult it is for many small businesses to put together a simple spreadsheet or a database query. Industrial floor scales are a perfect example where Internet access has impacted productivity. Take an assembly line for example, where industrial commercial scales are vital for counting parts and inventory control. In the past, there were folks who physically counted products. With that came the chance of human error or a past deadline -resulting in a multitude of mishaps. With the addition of Ethernet for communication between a PC and a scale(s), which is now a more automated process, the information extracted from a wide variety of data sources can easily produce the results through a series of Internet analysis and tools. The success of an organization depends on many factors, such as cost efficiency, innovations, growth, and accuracy. While Internet access was used in the above scenario to retrieve actual raw data for purchasing through weighing technology, the World Wide Web can also be useful in many other circumstances. Take corrosion resistant scales or drum scales for weighing cylinders and drums of corrosive materials. Corrosives are materials that can attack and chemically destroy exposed body tissues. Corrosives can also damage or even destroy metal. They begin to cause damage as soon as they touch the skin, eyes, or metal. They might be hazardous in other ways too, depending on the particular corrosive material. When accidents occur in the workplace, whether through negligence or inexperience, having Internet access can prevent an accident from becoming catastrophic. In the case of a spillage, having direct Internet access can provide R&D solutions in the case of an emergency. Perhaps a worker or driver who is not familiar with the corrosive materials gets it on them and does not know what to do with a certain chemical. It is wise to treat unknown materials as very hazardous until they are positively identified. All these examples affect productivity improvement and thereby profitability, which are vital for any organization. The Internet is a fully functional business tool that can provide real bottom-line results for businesses, and in this case, it has succeeded.